The International Exhibition NATURE, HUNTING, FISHING is the meeting place for companies, institutions and specialists engaged in activities related to forestry, game and fish farming, cultivation of nature and protection of the reserves. 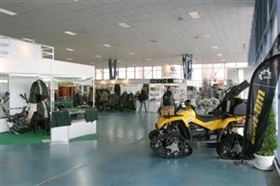 The exhibitors presenting camping gear, tourism, fishing and hunting wear and equipment are regular participants. Business meetings are organized, deals are made, innovations are showcased during NATURE, HUNTING, FISHING. The exhibition attracts all those who love hunting and fishing, the hunting trophies connoisseurs, the tourists and the horse sport lovers. It is also the right place for everyone who is looking for original ideas for leisure or hobby. NATURE, HUNTING, FISHING is an attractive event not only for the trade visitors, but also for the general public.